Sadhguru: The most beautiful thing about time is if you do something it passes by; if you do nothing it passes by; if you are joyful it passes by; if you are miserable it passes by; its absolutely just no matter who you are how you are for everyboy it passes at the same speed. Only thing is our experience of the time could be different depending upon how intensely we live or how slack we are. If you’re very slack with life it looks like time is passing by very slowly. If you’re very intense, time just flies by but in reality time is happening to all of us at the same pace. These cycles of time whether it’s minutes or hours or days or months or years that go by, these cycles of time… Anything that’s cyclical is naturally repetitive but anything that is cyclical also has a centrifuge or a centrifugal force, a force which is always trying to go away at a tangent from the circle. If you ride this centrifugal force of time, we say you’re spiritual. If you are caught up in the cycle of time then that’s being material, if you’re crushed by the cycles of time than we say you are a suffering creature. It is the same cycle, either you can be crushed by the cycle or you can trapped in the cycle or you can ride the cycle. To ride the cycles of time not to be trapped in it, definitely not to be crushed by it. Time is crushing experience for a lot of people. Hmm? Yes? Anything cyclical has this ability that it can crush you or it can trap you or you can ride it. In the yogic way of looking at things we see time - time is referred to as Kala. Kala means both time and space. Kala means darkness. Darkness means that which does not stop light, you understand what I’m saying? If there is light going by you won’t see it. Only if it’s stopped by something you see it. So that which does not stop light is called darkness. So that which does not stop light is empty space. So both space and time are referred to as Kala because they are not seen as two different entities. Only because there is time, space is possible. Because there is time you can move from point A to point B. So there is space. If there was no time, there was no way to move. The general perception is because there is space there is time But I don’t see it that way. Because there is time, there is space. Now, there is time which happens because of cycles. The planet spins once, it’s a day. The moon goes around the planet, it’s a month. The planet goes around the sun, here we are today (Laughter). The cycles of time are one dimension of time. There’s another dimension of time which is not… which is beyond the cyclical nature. This we call as the great time. It’s called the Mahakala. There is time and there is greater time. Even when there are no cycles there is time. But where there is no cyclical movement, there is no physical happening. Everything that’s physical in the universe from what is atomic to what is cosmic, everything is cyclical. If there are no cycles happening there is no physical possible. When I said, if you take a tangent or if you take the centrifugal to ride away from the cycles of time that means being spiritual. It’s in this context that we know the cycles of time only because of physical reality. If we could measure… If we could measure what is the speed of an electron around the proton and neutron, we could keep time, atomic time. But a bit too much for us so we measured the planets. How much time it takes to go around the sun they said it’s a year. We went little further down to days and hours and minutes and seconds but all of them are cycles of the physical existence. If there is no physical existence, we would not know anything that’s cyclical. If we did not know what is cyclical movement, we would not know the cyclical nature of the time but before existence manifested in its physical nature there was time. This is called Mahakala, that is, an eternal space. You’re not watching my words. I’m saying an eternal space. When there was no movement, when everything was still, there was time, but nothing cyclical happening. That dimension of time into which everything dissolved, and from which everything sprang up, when certain energy touched it, it took to cyclical movement. When cyclical movement happened, physical happened. When physical happened, we could measure time. Otherwise time was just space. So the word kala means both time and space. “Sadhguru we came for a party (Laughter), and here you’re going at us like this (Few laugh).” Is it... it is important to know or rather it’s important to touch and experience a dimension which is not cyclical in nature. Because what is cyclical is inevitably repetitive. What is cyclical inevitably runs itself out at some point. It runs itself down. Anything that’s cyclical cannot be forever because it needs a certain amount of kinetic energy which is going to expend itself. When a human being touches a dimension which is not cyclical in nature, suddenly there is a new quality, a quality which is beyond all qualities - not good, not bad, not this, not that. Simply. Like existence. There’s nothing high about it, nothing low about it. It’s just that you have moved from the surface to the source. Not that it solves all your problems, it’s just that you won’t know what is a problem (Laughter). This... I said something about the India situation and this quote is making rounds, even reached the Prime Minister and he was laughing about it. I said, “For every solution there is a problem (Laughter).” Just see - for every solution, somebody has a problem, isn’t it (Laughter)? For... People may think for every problem there is a solution. But when you don’t see any problems, when you see only solutions, some people have problems with the solutions (Laughter). I don't know. “What shall I do? What shall I do with myself which is all and nothing at once? What shall I do with myself which is me and you at once? What shall I do?” Is this a problem or is this a solution? There may be a space where there are no problems and no solutions, just existence. For someone who pops out of nothing and pops out into nothing, what is the problem and what is a solution, I’m asking (Laughs)? Hello? You popped up from nothing, you’re gonna pop out into nothing. In this little space and time, what is the problem and what is the solution? I want you to figure this out (Laughs). Hello? What is the problem? Hmm? Sadhguru: There’s really no problem, no solution actually but there are so many problems (Laughter). “Sadhguru, we don’t know where you are living (Laughter), where I am living, there are so many problems (Laughter).” I am also living among the kind of people that you’re living with (Laughs). Yes, same sort (Laughter). The question is just what are you rooted into? If your rooting is just your physical body, some things are problems, some things are solutions. If you’re rooted into a psychological framework, everything is a problem (Laughter). If you’re rooted into the existence, nothing is a problem, nothing is a solution, everything is an experience of life. Hmm? Everything is an experience. “If I die tomorrow?” That is also a very good experience. We don’t wish it tomorrow but if it comes, that is also an experience. Hmm? You don’t like it? Whether you like it or not, it happens. Yes? Sadhguru: Whether you like it or not, it happens. Not that we’re wishing it tomorrow, but if it happens tomorrow, what the hell (Laughter)? We don’t want it tomorrow, “still got miles to go before I sleep, miles to go before I sleep…” (Referring a poem by Robert Frost) (Laughter). We don’t know how many miles you will go, but if you look at life in its full depth and dimension, life is a certain amount of space. If you look at life in a linear fashion, life is a certain amount of time. If you look at life from your psychological perspective, life is a certain number of problems. Every day I’m meeting all sorts of people, thousands of them. How many varieties of problems they have means it’s unbelievable. For sure for every solution there is a problem (Laughter). Birth is a problem, death is a problem, in between series of problems. Serial inventors of problems. One cycle is ending, a new year is coming. It’s a choice that you have to make. Are you going to invest your thought and emotion and energy in making up problems or making up solutions? Or simply enjoying life for what it is? It’s a choice that one has to make. “Oh, this is my resolution I won’t make any more problems (Laughter).” To make resolutions, first you need a constitution. Do you have a constitution? Hello? You don’t have a constitution? No, like a nation has a constitution, a religion has a constitution too. One advantage of the constitution of the nation is, we can amend it periodically. The constitution of the religions cannot be amended. It’s fixed (Laughter). Any change means violence will happen (Laughs). If you suggest an amendment, they will kill you. That is their amendment (Laughter). The national constitution, constitutions which make nations, it is open to debate and amendment. I’m asking you, you as a person, do you have a constitution? No, no, no, you have. What you like, what you don’t like, “this’s what I will do, this’s I will (won’t?) do, I’m a morning person, I’m a (an?) evening person (Laughter), I’m a Whatsapp person, I’m a (an?) e-mail person, I’m a Facebook person” (Laughter). There are constitutions - individual constitutions. Maybe not written down, but it’s there, isn’t it? If you can pass a resolution, there must be a constitution. If there is no constitution, how do you pass a resolution about it? So there is... Once you have a constitution, you are not a life, you are an institution. If you’re living in an institution, you know what it means (Laughter). It means you’re a nutcase (Laughter). Yes. No, no, no, not everybody. Either you’re a nutcase or you’re a spiritual aspirant (Laughter). Yes. You are a seeker of sanity or you’re a seeker of liberation (Laughs). One of these things means you live in a (an?) institution. “So, what resolution should I take for the new year?” All resolutions are impositions. Where there is no consciousness, where there is no awareness to know life, from the lino... from the aliveness of what it is, you wanna fix it. If you pass a resolution today, in some way you’re making sure that you will not be aware for the next one year. Because awareness means a spontaneous response to life, moment-to-moment. As a... resolution means fixed, pre-fixed. If you pre-fix your life, whether it’s done by you or done by somebody else, if... if your government passes a resolution – all of you must hang upside down In India we would say a tamarind tree. Here, where shall we hang you from? Tch. What’s the famous tree from which they hang people? No particular tree? Hmm? Sadhguru: Where to find a (an?) oak tree? (Laughs). Hmm? Where to find a big oak tree to hang from? It’s difficult to find them. In India we say a tamarind tree for a particular reason (Laughs). So let’s say your government passes a resolution that all of you must hang upside down from a tree, whatever tree – we’ll give you the choice of the tree – will you suffer this, will you protest this, will you rebel against it or no? Hmm? Sadhguru: Yes. Whether your government passes the resolution or you pass the resolution, it’s not any different. You’re trying to achieve something by force. Anything that you try to do by force feels like you’re hanging upside down. Yes or no? You want to be like this but you want to do this, you will feel like you’re hanging upside down. When you hang upside down, you will feel like rebelling against it. So naturally, within three days your resolutions will become dissolutions (Laughter). Otherwise you suffer hanging upside down. Very few suffer the entire year. Some will dissolve this in three days, some in three weeks, some in three months. But the very fact that they need one more resolution by the year end is a proof that did not… did not last the year. So there is no need to take any resolutions but… A resolution is made because you want to do something that you naturally don’t... not inclined towards. But the simple thing is... are you naturally inclined to be joyful or miserable? Sadhguru: That was only five people (Laughter). Are you naturally inclined to be joyful or miserable? Sadhguru: So, you can consciously… you can make an attempt to be conscious that joyful is my natural inclination. So how joyful will I be in the coming year? Just keep accounts. Hmm? See, lot of people who’re doing business, they think they’re keeping accounts only for the sake of IRS (Laughter). No, no, you keep accounts not for the sake of IRS, because if you do not keep accounts, you do not know whether you’re making profit or loss. That’s the idea of accounts, isn’t it? Whether you’re moving forward or backward, to know this, you need an account book. Why don’t you keep an account book? At the end of the day, just check, “Am I little more joyful today than yesterday?” Tch, if you had done this since you were five years of age, you would have been ecstatic by now. Profit side. (Gestures) Became like this because you never kept accounts. One day you checked when it became very acute. Then you see you are in a big loss (Laughs). Every day, every month, just keep accounts, “Am I becoming more joyful or less joyful?” There’re only two things. How joyful are you and how much joy do you give to people around you? This you can keep accounts. Hmm? If you keep accounts of this... People are keeping accounts of their money, as if they’re gonna carry it with them. The real wealth of life is how joyful you are, how wonderful is your experience of life? Joy is not a goal by itself but it’s a necessary ambiance for life. If you don’t set this one ambiance, then whatever you have is just going waste. Hmm? You may have health, that’s going waste, because (Laughs) there are more people on this planet who’re healthy and miserable than unhealthy and miserable. At least if you’re… At least if you’re unhealthy, you got a good enough excuse for your misery. Hmm? You’re healthy and miserable, there is no excuse. I want you to just understand this, it’s just not smart to be miserable (Laughs). Hmm? This happened a lady was driving... Tch and then she had a flat tire. She had never really done this - this changing tire business - but she read the instruction manual, she put the jack and lifted up the car, she undid the wheel, with great difficulty she pulled out the heavy wheel from the boot and was trying to fix it and these four nuts that she had, she had kept it in the hub cap and with her high heels she was struggling and she stepped on the hub cap and all the four nuts flew in different directions. So she put the new tire, but she had no nuts. Tch. Then she was cursing and wondering and miserable, what the hell to do now? And she was little nervous because she was hearing all kinds of noises from a mental institution which was across the street (Laughter). Then on the third floor, there was a young man looking out of the window, watching this lady. Then he said, “Hey lady, look here. All you need to do is, take one-one nut out of the three wheels and put the three nuts on this, you can drive to the gas station. With three nuts you can drive, no problem.” She did that, and she got the car down on the road, then she looked up at him and said, “You’re so smart, why are you here (Laughter)?” He said, “I may be nuts but I’m not stupid” (Laughter). It’s all right to be little crazy, but you don’t have to be stupid. All the so-called smart people who’ve become (Gestures), like they’re practicing a posture for their grave (Laughter), you know? When I look at lot of people, I think they’re practicing (Laughter). They’re doing pretty well (Laughter). But what they don’t understand is, it doesn’t take practice. When you die, it happens (Laughter). Yes? Sadhguru: Do you think you need to practice? No (Laughter). Because you can’t improve death with practice but you can improve life with practice. Yes or no? Sadhguru: However you do life, you can still do it better. Yes? Sadhguru: But death happens super efficiently for everybody. You can’t improve upon that. You think you can improve? No. You don’t have to practice your final posture right now (Laughter). It’ll come naturally, believe me. It’s not like life, there’re no difficulties there. It’ll come very naturally. You will do perfectly well in the grave (Few laugh). You don’t have to have any doubt, it doesn’t need any preparation. When you die, you will get it. Hmm? But now with life, there is so much to do and more. How much ever you do, there’s something more to do about life, isn’t it? If you want to be at it, the fundamental ambiance is that you’re joyful. Otherwise, you will get this tremendously intelligent idiotic question – “to be or not to be” (Laughter)? Yes. Intellectually seems very profound, but it’s the most idiotic question. You don’t have to decide not to be, it will happen. There were many idiots like you, countless number of idiots like you on this planet who’re gone. They don’t have to worry about to be or not to be now. Anyway they’re not to be. This is our time on this planet. Yes? Sadhguru: This is our time on this planet. What are we going to do? That’s the question. Are we going to make this into an exuberant, joyful, wonderful planet, or we going to make this into a miserable, horrible planet? This is our time, we are free to do either way. The choice is yours. I won’t tell you, “Take a resolution that you will make this into a wonderful planet.” There is no such thing. The natural inclination of life is for pleasantness. If you choose to be very pleasant within yourself, pleasant things will happen. If you’re feeling horrible within you, and you try to do wonderful things, then… I want you to understand (Laughs), the worst tyrants on the planet, those who topped the baddie list historically I’ll pick up the worst of the lot. You take somebody like Adolf Hitler or Benito Mussolini, they really believed they are going to create a wonderful world. You know this? They had a dream of an ideal world. When you have horrible things going within you and you go at the world with very energetically, what you will create is a horrendous reality. Before you touch the world, if you want to clean somebody’s face, your hands must be clean, isn’t it? Yes or no? Sadhguru: Your hands are not clean, you try to touch this - this’s not gonna work. So before you touch the outside world, this much you must do to with yourself that you are pleasant. When you are pleasant, whatever you touch will become pleasant. You are unpleasant, but you have good intentions, it is no good. I want you to understand, right now in the world, one situation that is happening in certain parts of the world, which almost everybody in the world sees as the most horrible things that can happen, they believe they’re creating god’s own kingdom. Yes or no? Sadhguru: They one-hundred percent believe. You may question their intelligence, you cannot question their integrity because they’re willing to die for it. When a man is willing to die for something, you cannot question his integrity, isn’t it? You can question his intelligence and judgment, but you cannot question his integrity because when I stake my life, you must know I mean it (Laughs), isn’t it? I’m not playing fool with it, it means more to me than my life. Yes or no? Sadhguru: I want you to know, you have anger and hatred going within you but you want to create a wonderful world - what happens, the consequence of that is a horrendous reality. It’s not by intention that the world will change, it is by your consciousness that the world will change. How you are within yourself. If we don’t fix this one thing, we will have intentions and intentions. The worst things have happened on the planet with good intentions, not with bad intentions. Yes or no? Sadhguru: The most horrendous things have happened with very good intentions. So what intention you have is not important, what is your inner nature, this is important. Sadhguru: Every action that human beings are doing in their life knowingly or unknowingly is in pursuit of their well being. And you know you feel well only when you are joyful Hello yes? You feel really well only when you are joyful isn't it? Or in other words, every single action that human beings perform is in pursuit of their happiness or joy. If they were joyful by their own nature, every action that you perform would become conscious instead of being compulsive, isn’t it? This is all you have to do to yourself. This year, the coming year, and the coming, coming year and for the rest of your life, you just have to keep accounts. From yesterday to today, am I little more joyful? Am I... You don’t even have to worry about giving joy, if you’re joyful, you will spread joy. Yes? Will you keep accounts, I’m asking? Sadhguru: Or shall I set IRS upon you (Laughter)? Do you need enforcement (Laughs)? Most societies have been run for a long time by enforcement. So if there’s nobody to enforce (Gestures) (Laughter). No, that’s not what happens. If there is nobody to enforce anything, you become joyful, isn’t it (Laughs)? I want you to understand this (Laughter), the different between a resolution and moving towards the natural inclination of life. If there is nobody enforcing anything upon you, do you become miserable or joyful? Participant: Joyful. Sadhguru: So, you don’t have to enforce any resolutions upon yourself, just little tools to make sure that you don’t sink. Just keeping accounts, daily. Every day before you go to bed, you must check whether you’re little more joyful today than yesterday, okay? If you keep this up, by the time you’re thirty, you will be ecstatic (Laughs). When I was (Laughs)... When I was just twenty-five... tch, I simply sat down with my eyes closed, every cell in my body was dripping ecstasy, nameless ecstasies. Then I realized this is it. Nothing to be done. If you don’t mess with your mind, you’re ecstatic. The fool that I was, I made a plan – in two-and-a-half to three years’ time, I’m going to make the entire world ecstatic because there’s nothing to do. If you simply sit here (Gestures)… you know? Thirty-five years (Points to his white beard) (Laughter). I have not lost it. A few people have gotten it. Yes, quite a few people have gotten it, but still not the world (Laughs). Making some estimates and... on an average, in the last three years’ time we should we should be touching nearly hundred million people a year, but still that’s not the world (Applause). No, no, no don’t... don’t... don’t enjoy my failures (Laughter). My idea of the world is 7.3 billion people, tch hundred million is not a success. It looks like I’m destined to die a failure but I’ll die a blissful failure because me being blissful is not dependent upon the results of my actions (Laughs). My actions are rooted in my blissfulness. This is how life needs to be conducted, that your actions are rooted in your joyfulness and blissfulness. That joy is not a result of something that you do. The moment it is a result of something that you do, it will fly away in no time because our actions in the world, not always are they successful. Hmm? However well you do it. Yes or no? However well you do it, not always are they successful. Our actions are subject to various realities. Many forces have to come together for the success of any action. Not always they will fall together. So if your joy, if your way of being is enslaved to the success of your activity, then you being joyful is a very remote possibility. And above all, what will happen is, when you perform actions, if they don’t succeed, if you’re going to become miserable after a couple of burns, then you will shrink. You will see how to restrict your life to minimal activity so that you will enjoy maximum success. If you cripple yourself, you know? If you cripple yourself, you can participate in a race with people... Suppose you have only one leg, then you participate in a race with somebody who does not have both the legs and of course you win. This is what most people are trying to do. The moment there is fear of suffering, of failure, what you will do is cripple yourself, restrict your activity. Only when failure doesn’t matter, that you can go through your failure blissfully, you will do everything that you can do. Who cares whether it happens or not? We will do it and we’ll do it well. If it happens, it’s great. If it doesn’t happen, it’s very great because we can do it all over again (Laughs). Joy is not a consequence of life or activity of life. Joy is a natural ambiance which is necessary if you have to... Tomorrow morning if you have to wake up and want to do something, you no... you need to have some joy in you – otherwise “to be or not to be” (Laughter). Will it come or not? Suppose you wake up and you... tomorrow morning you’re bereft of joy, nothing in you, you’ll wonder, “Why am I here?” Yes or no? One day, one twenty-four hours completely joyless, will you wonder, “what the hell I’m doing here?” Yes or no? Sadhguru: Because this is the nature of life. If this life has to blossom, it needs the ambiance of joy. So, we have given you the tools (Laughs) to live joyfully. You must keep accounts. Hmm? Sadhguru: (Gestures) Yes (Laughter). I got it (Laughter). Before they serve food and music is ready and the party is ready, I don’t want to take any more time, if there is a question that you can't go into the New Year without being answered, if there is such a question (Laughter), okay? Not that you must ask a question, if there is such a question, okay? No, it works only if you speak (Laughter). Questioner: Namaskaram Sadhguru. Sadhguru: See, you must understand that… Please… There is no such thing as good habit and bad habit. All habits are bad (Laughter). Because habit means you’re unconscious. You think only bad habits are unconscious? No. Even the so-called good habits... Habit means you have learned to function in an automated way. That means you don’t do things consciously. For example, is brushing your teeth in the morning a good habit or a bad habit (Laughter)? Even you? I thought you would be free from a habit (Laughter). There are two ways of brushing your teeth. Because you’ve been regimented to brush your teeth, you get up and ffff (Gestures) (Laughter)… Or because you wake up, you’re very sensitive, if you open your mouth, you’re conscious enough (Laughter)… Most of the time, you’re not conscious enough, only other people know (Laughter). This is a very strange thing. There is the apparatus, the olfactory apparatus, which smell… which have a sense of smell, right here (Gestures), above your mouth (Few laugh). But you don’t get it, others get it five feet away (Laughter). That means you’re unconscious, isn't it? Yes? Participants: Yes. Sadhguru: If you’re conscious you would still brush your teeth. Till you come to such a place, when you open your mouth in the morning it smells like fragrance, you become like a flower, till that happens, you must consciously brush (Laughter). If you consciously brush, on different days or different mornings it may need different length or different amount of brushing. Not every day, brushing is same requirement. But because you’re regimented, “Three minutes, I must wear my teeth out” (Laughter)… If you were conscious, on a particular day you would brush as it is necessary for that day. That’s how it should be. On a particular day, you would eat as it is necessary for the body, you would sleep as it is necessary for the body. You would do everything consciously. But now, it's a habit, everything is a habit. What time you should go to bed, what time you should wake up, what you should eat, what you should not eat – everything by prescription. This is called slavery. Your doctor tells you or your slave master tells you what you should eat today. I don’t see what's the difference. Why is it that you do not know what this body needs today? Because no consciousness, everything by regimentation, by habit. Habit is regimentation, isn't it? It's only by regimentation you become habitual. So in this, you have also identified something as good habit and something as bad habit. What to do? Is there something called as bad unconsciousness and good unconsciousness? That’s what you’re saying. When you say, “I have a good habit”, you’re saying, “I’m unconscious in a nice way” (Laughter). It's like si… saying, “I’m dead in a nice way” (Laughter). Because the fundamental difference between being alive and being dead is being conscious and being totally unconscious. Being partially unconscious is being partially dead. As I earlier told you, you’re trying to practice the posture (Laughs) and the state of what it means to be dead. Do not fix any kind of habit. Just see See, the idea of withdrawing into retreats, coming to a spiritual space is just this – to find space where you can do everything consciously. When you were in a race, you could not be conscious, you got mad and you somehow fixed some habits through which you managed to go through your daily office routine. When you come to a spiritual space, this is what you’re supposed to do – that you watch what is the requirement of your body, what is the requirement of your mind, what is the requirement of your emotion, what is the requirement of your energy? What does this life (Referring to oneself) need, what does it naturally long for? To consciously watch this! Once you consciously know that this is what it is longing for, then there is no two ways about it. Otherwise, you think you’re on the spiritual path because of me, that’s a crime against me (Laughter). Yes (Laughs). If you’re unconscious, it’s a crime against yourself. But you’re doing something that you think is spiritual because of me, that’s a crime against me. Tch, you better do crime against yourself, not against me (Few laugh). So, how do I get rid of habits? You don’t have to get rid of habits. It is like… What you’re asking is, “How do I get rid of my unconsciousness?” When you use the word “un”, we are suggesting a non-existence, not an existence, isn't it? Consciousness is. When consciousness is not there, that is called un-consciousness. How to get rid of something that does not exist? I’m saying you’re playing a trick with yourself. It's like, suppose this… this hall is dark. How to get rid of this darkness? Kick it out. Hmm? All of you together, I’m sure you can kick out of the darkness. You will get into an insane effort. You’ve been on it, hmm, this insane effort to get rid of unconsciousness. No. To get rid of darkness, you just have to light it up. If you light it up, darkness is gone because darkness is not an existence by itself. It's just the absence of light. Similarly, unconsciousness is not an existence of itself. It is just absence of consciousness. If you become conscious, do you have to fight with unconscious? Hmm? If you’re conscious, do you have to fight with unconscious habits? Participants: No. Sadhguru: No. So you need to work on consciousness, to become conscious. “Oh, what should I do?” You should not do unconscious things (Laughter). Because the essence of life is being conscious. You know that you’re alive only because you’re reasonably conscious, isn't it? Yes or no? Participants: Yes. Sadhguru: You’re fast asleep. Do you know you’re dead or alive? Do you know? Participants: No. Sadhguru: No. Why? Because you’re not conscious. When you’re not conscious, you do not even know whether you’re dead or alive, isn't it? Now you know that you’re alive because you’re somewhat conscious. Now, we just have to raise the wick a little bit to become more conscious. That’s what we’re working on. There are many things, which has gathered inertia. Your physical body that’s why the 5:30 drum in the morning. Your mind has got into its own habitual patterns that’s why me torturing you with all this. Your energies have followed the requirement of body and mind and they’ve gotten into their own patterns – that is why the sadhana. The idea is to break the cycles of unconsciousness and become conscious. When you become conscious, it looks like you’re in unknown terrain, suddenly everything seems to be difficult. When you were going habitually, it looked like everything was easy but… See, when I (Laughs)… when I went into the Coimbatore prison… No, I went there unqualified, you know (Laughter). When I went there to conduct a program (Laughter), almost twenty-five… twenty-four, twenty-five years ago, I just observed – this is something a whole lot of people are seeking in their life, prison life, because this is a place where somebody always opens the doors for you and they close it for you, they turn off the lights for you, they do everything for you, you don’t have to do anything (Few laugh), really. Food comes bang on time (Laughter), always, by the second, I’m telling you. Tun means food is ready. Everything is great in this prison. I thought this is a great place. Only thing is it's enforced. But this is what a whole lot of people are seeking systems in their life. Yes? When it is done to you, you will suffer it, I’m telling you (Laughs). When eu… When it is done to you, you’ll suffer it. Actually, for a whole lot of people, prison life is far more… it is far more organized (Sounds like – than?) what they dream of in their life. It's far more efficient, far more nutritious (Few laugh) and most of them are very fit and healthy. But if you enter the prison, there is suffering in the air. Not once – I have been there hundreds of times to various prisons – not once have I stepped out of the prison without tears in my eyes because there is suffering in the air. The pain in the air is unbearable. Because one thing that a human being suffers most is lack of freedom – not lack of comfort, not lack of wealth, not lack of this and that. Once freedom is taken away, a human being suffers immensely. Everything is correct. Prison life is far more comfortable than going to work and coming back, getting stuck in the traffic, going through all these problems. You are a state guest, you know (Laughter). Really! If you’re looking for a comfortable, no surprises kind of life (Laughter)… If you suffer every little thing, sh… everything shocks you, everything makes you go through stress and tension, prison life is perfect (Few laugh). Everything is in order, no surprises, everything is just right. Even the menu is written down – next seven days, what's the menu, it's there and it goes by that, nothing more, nothing more… nothing less. One bean more means somebody will be taken to task (Laughs). Everything is correct. Those who are looking for a correct life, prison is the best place (Few laugh). But a human being will suffer immensely when everything is correct. Yes or no? Participants: Yes. Sadhguru: Everything is correct but no freedom – people will suffer this immensely. So, you need to understand, habit means you have caused a little prison of your own and you will suffer this after some time. Initially, it looks like efficiency. After some time, it is imprisonment. Prison is in many ways an epitome of efficiency, isn't it? But efficiency is not what this life (Referring to oneself) is looking for. This life (Referring to oneself) is looking for expansion. This life (Referring to oneself) wants the freedom to expand, always. I was talking to one of this management specialists from America, a very well-known man – let me not mention the names. So, he was propounding all his management principles, which if… which looked like a prison cell to me – bringing order to everything, so that it's efficient. See, there are two ways of looking at this. There is a manicured garden, which looks very perfect. There is forest, which looks like chaos. But the manicured garden, if you don’t manage it for one month, it’s finished. There’s no garden left. A forest has managed itself for a million years and still going on. Which is more efficient? Which is more orderly? Participants: Forest. Sadhguru: Forest is far more orderly and far more efficient. But it is not fitting into your logical framework, that’s all. This is what enlightenment means, that from being a manicured garden, you become a forest because (Audio cut) it sustains upon itself. It doesn’t need anything from outside. Nobody need to water it, nobody need to manure it, nobody need to come and trim it. Everything happens within itself. Yes or no? Participants: Yes. Sadhguru: If you leave it for a million years it’ll still be there. Only if you meddle with it, it may go away. Otherwise, it will sustain itself because it is an efficiency of chaos. We call something chaos not because it is inefficient, we call something chaos because it doesn’t fit in to our logical framework. So habit means you have become a slave of your own logic and after some time… The moment you form a habit, it is unconscious, isn't it? So, what you need to get rid of (Audio cut) (is?) habits. You have to become conscious. If you become more conscious and you’re not unconscious, then there is no such thing as habit. You will do what's right for you now. So, nine-hundred-and-ninety-nine questions, please live with it for 2017 (Laughter). All the best. Sadhguru: Hey! What did I do to deserve this? Hmm? Hmm? What’s your name? Little Boy: Shashi. Sadhguru: Thank you (Applause). (More kids approach) Oh! Oh! Oh ho ho ho ho (Applause). Isn’t it a bit too early for flowers (Laughs)? Thank you. Little Girl: These are slippers for the airplane. Sadhguru: Oh! I must wear them on the airplane? I usually don’t walk, I fly (Laughter). Thank you (Laughs). Thank you very much. Thank you very much (Applause). Little Girl 2: Can I please say a poem? 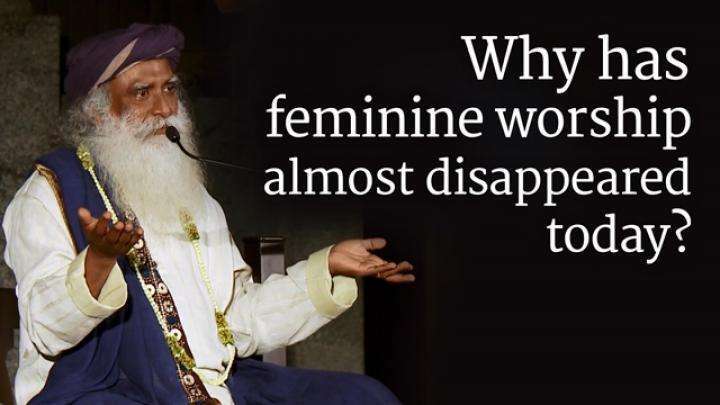 Sadhguru: Hmm? Little Girl 2: Can I please say a poem? Sadhguru: I’m sorry? Little Girl 2: Can I please say a poem? Sadhguru: Oh yes please. Microphone please (Laughter). There’s a poem that b... they’re going to recite. Little Girl 2: My heart is like a singing bird whose nest is in a watered shoe. My heart is like an apple tree, whose boughs are bound by thick sap fruit. My heart is like a rainbow show that paddles in the sea. My heart is gladder than all these because my love has come to me. Raise me days of silk and down, covered in peacocks and doves and pea... pomegranates and peacocks with one hundred eyes, work it in gold and silver grapes and leaves and silver firty... because the birthday of my life has come, my love has come to me (Applause). Sadhguru: (Laughs) What a sweet poem (hugging both children)! Sadhguru: I’m sorry (Laughter). You know, we’re washed away by... We lost the question, you know (Laughter)? Okay, okay, practices, practices (Laughter). Questioner: If only... If I get to do that, that would be amazing (Laughter). Questioner: That was lovely, the kids getting to hug you, it was amazing (Laughter). Sadhguru: Hmm? What is that? Questioner: The kids getting to hug you was amazing, you know? So it’s okay. Sadhguru: But you don’t have a sweet poem like her (Laughter/Applause). Oh, when you said the book, you know I’m supposed to finish this book before 3rd of January, so I’m working on that book. When you said, “The book” - I was just thinking book, book, book because this book is bothering me for last few days, I’m supposed to complete it by 3rd January (Laughs). We’re writing a book on Adiyogi. I’m to give it to the publisher by 3rd January and... So that’s the book on my mind. You’re talking about the old book (Laughter). Old book. Okay (Laughs). The practice that is taught in the Inner Engineering program needs twenty-one minutes, you need to sit in one place and do it. It is of a different nature. It is... It is a process which can change... to start with, the chemistry of your system. Many of you have experienced this, after a few months of practice, if you look back and see, all those little-little things which were so significant don’t seem to bother you anymore, they’re just gone. Simply because the chemistry has changed. You know when chemistry changes, things change (Laughter). In whatever way you have known it, but there are other dimensions to human chemistry that instead of being a volatile reactive chemistry, can become a very self-contained chemistry which is pleasant and on. The practices in the book are not sitting down and doing practices, you could be doing it anywhere. You could be driving, you could be working in your office, you could be walking on the street and still be doing it. They’re of that nature. Or in other words, the practices in the book are just to bring a certain amount of consciousness. The book did not have these practices to start with, but when I travelled around in America, everybody was talking about being mindful. (Laughs) Then I saw, by being mindful what they will do to themselves. My entire work is to bring you to a certain sense of abandon that you can be here like you’re not here. If you sit here, you don’t even know whether your body is here. If you sit like this, first thing is you don’t have a gender. You don’t even have a body, so where is the question of a gender. If you simply sit like this, there is no time for you. Just look at this. Only because you have a body, your body is keeping time. Hmm? Your legs are telling you how long you’ve been sitting. Yes or no (Laughter)? Hmm? Sadhguru: Suppose you had no legs, you would have no sense of time. If you had no back, no sense of time at all. If you had no body, no time at all, isn’t it? Your body is keeping time from womb to tomb it is keeping time, from bathroom break to bathroom break it is keeping time, from wakeup to sleep it is keeping time. Yes or no? Sadhguru: Once it’s time, it’ll do Aaaaa (Laughter). You don’t have to look at the watch, once a certain time is up, your body will do Aaaaa. Yes or no? Right now… You’ve seen that old time machines with sand trickling away, like that the bladder is keeping time (Laughter). Drop, drop, drop (Laughter) as it fills up, you know what’s the time. Legs are keeping the time. If you’d done your practices regularly, I mean the... tch the program practices, not the book practices. If you’d done the program practices regularly, your legs can deceive time. You... Your legs don’t know what’s the time, your legs know (Laughs), book... book practice (Laughter). So, the program practices are of a different nature that cannot be transmitted unless a certain amount of preparation and... It’s a transmission, it’s not a teaching. Book is a teaching. There is a big difference between teaching and transmission. Do not mit... misunderstand both as one. This is a way of creating a smaller step for people. Because people are not willing to take one big step, one small step, they read the book and if some small things change, they may take the program. But there is no substitute for sitting properly with eyes closed and doing what is being done properly and not only that, there is no substitute for a transmission. If something is not transmitted, nothing new till happen. Improvement of the present will happen, nothing new will happen. With Shambhavi we are not looking at improving you, we want something new to sprout in you. Something that was never there with you till that moment must happen within you, that’s the intent. The book is trying to decorate the existen... existing. Whatever you are right now, to make a little improvement. Most people are looking for improvements in life, they are not looking for transformation. Transformation means nothing of the old should remain, that’s transformation. But most people cling to the old. Will you leave 2016 or will you carry it with you? Hmm? Can you? Though it leaves you, you will not leave it (Laughter). 2016 will leave you, but you will not leave 2016, isn’t it? Sadhguru: Because you are a creature of memories. If you are a creature of memories, you are a creature of the past. Hmm? That means you are a dinosaur which is extinct (Laughter). You’ve become big because of your memories, isn’t it? But you’re extinct. Tch, what is the use? Dinosaur was a big creature, but doesn’t exist, what is the use I’m asking? Like this if you live in your memory, you are big, but what is the use? What is needed is to reverberate with what is there now. Memory is good to handle the world. It’s good only to handle the world, it’s no good to handle this one (Referring to oneself), isn’t it? Do you understand what I’m saying? Memory is good to handle the world around us. We need to remember what happened - what happened with this person, what happened with that person, what happened with that situation and this situation, we need to remember. It is useful to address the world. But with your silly memory, you cannot address this one. It doesn’t mean anything. This one you can address only with consciousness. There is no other way. Otherwise you won’t have this one. You have assembly of things. See, let me address something very sensitive, I want you to listen to this carefully otherwise you’ll come to wrong conclusions. Let’s say somebody very dear to you dies, or they go away for some reason, you feel like you lost everything. Yes or no? You feel like you lost everything because you are making up a life of substitution. Where you are not there, you filled it up with other people. When they go away, there is vacuum. But that’s not how life is happening. Because you are there, only because you are there, you can hold relationships with people, isn’t it? Hello? Sadhguru: But now in your experience you are not there, because you are a creature of memory. You can only remember this one and that one and that one. You can’t remember this one. How can you remember this one? Because this is a current life. You cannot remember this one. Because you’re handling everything by memory, you will see when one volume of memory which was a certain person or a situation, if that goes away, it feels like life has come to an end. Simply because a certain amount of investment you’ve made in a certain amount of memory you have about a specific person. So if you live by memory, I’m saying 2016 will leave you but you will not leave 2016. If you don’t leave sen... 2016, how do you go to 2017? You cannot. You drag all these years and go into 2017, there’s no such thing. You will be on a treadmill. You’ll get the exercise but you won’t go anywhere. Treadmill is fine if the weather is bad (Laughs). But it’s not a vehicle to go somewhere. This much you must understand. Memory is a treadmill. Yes? Memory is a treadmill. It is all right to handle situations around us but you’re not going to go anywhere with it. But human beings have invested so much in their memory, there’s hardly a handful who will go with me on this one. Tch. I’m asking, how many of you really want to step into 2017? Fully, leaving 2016 behind. Sadhguru: Whoa, whoa, whoa (Laughs)! If you really... If really, really I’m saying, if you can leave the past as past, completely, if you can sit here just in the present, no past, you’re enlightened, you know? That’s all it takes. It’s the burden of the past which doesn’t let you flower into a full possibility. Just the burden of the past. So this is a good moment. This is not something that the planet is doing, okay? Tch, yes the solstice has just happened, that is there, but every day planet is spinning, every day it is moving, in the trajectory of the planetary movement around the sun you can choose any point to get enlightened, you don’t have to wait for this point (Laughs). Yes or no? But anyway we are at this point where somewhere in your mind you’ve been told it is significant. It’s only significant because there is a memory of 2016. If there is no memory of 2016, in what way there is a 2017? There is no such thing. 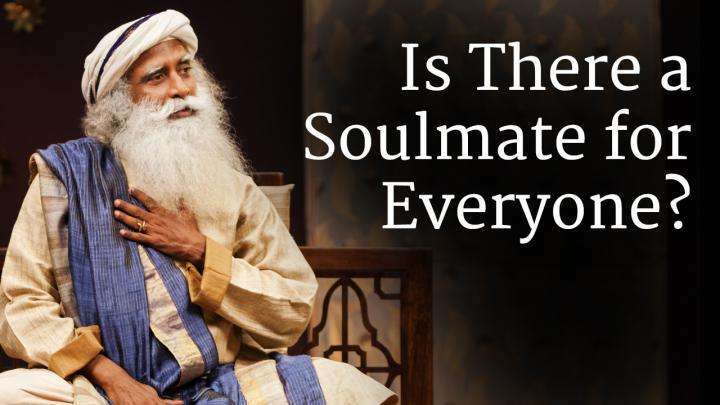 No, no, this is… “Sadhguru, you’re confusing us (Laughter). Sixteen... Sixteen... Seventeen (Laughter). It’s correct, arithmetically correct.” Yes, but only because there is memory, there is sixteen and there is seventeen, isn’t it? Sadhguru: So if you know how to simply sit here without being burdened by your memory, without being a product of memory... When I say product of memory - your likes, your dislikes whom you love, whom you don’t love, who is your friend, who is your enemy, all this comes because of your memory, isn’t it? If you can keep all that aside and let the New Year blossom, you will blossom into a wonderful creature, spraying fragrance into the world. Well, there won’t be any attendant music nor will there be an applause, but if really beautiful things happen who cares whether it is appreciated by somebody (Laughs) or not (Applause)? Hey, where is the attendant music? What happened to the musicians (Laughter)? Come on! Nothing so wonderful happened, so let’s have some music (Laughter). What? Sadhguru: Look at that one (Laughter). Sadhguru: She is a missionary, I’m not (Laughter). Anyway, just to tell you a few things. One thing is, on February twenty-fourth is a once in a lifetime kind of event for Isha that we’re unveiling this hundred-and-twelve feet tall face of Adiyogi in Coimbatore in the Isha Yoga Center in India. It’s going to be a massive campaign, particularly in Inia (India?) but even internationally there will be a certain level of campaign. The fundamental idea is to use this iconic face as a galvanizing force – as I said the book is getting ready – to use it as a galvanizing force to move people – it’s a dangerous thing to say in Tennessee – to movie (move?) people from religion to responsibility. Why I’m saying this is – humanity has become like this, if small things go wrong in their life, they will find one little guy to blame (Gestures) – “because of him.” If big things go wrong in their life, they’ll find that big guy (Gestures – pointing upwards) – “because of him.” What about this guy (Referring to oneself)? some of the studies show that on an average all Indian rivers are depleting by eight percent per year. at means in about fifteen to twenty years, almost all the rivers which have been perennial will become seasonal for variety of reasons. So for the last three years I’ve been working on this and we’ve come up with a kind of a... a policy that the government has to take up. We’ve worked with a couple of state governments which they’re already trying to implement. I’ve managed to convince two Chief Ministers and make this happen. I’ve recently put this across to the Prime Minister and he’s agreed to this in principle. But to raise this awareness across the country because most people are unaware of it completely, so... And also it’s been a long time since I drove across the country. So, we’re driving from Leh-Ladakh which is the ta... Northernmost tip of India to Kanyakumari and back on the East Coast and back to Delhi. Totally about 12,000 kilometers. About sixteen major events will happen on the way. So those of you who can drive in India (Laughter/Applause)… Because it takes a different level of skill. If you wish to be a part of that, we will do this rally of a certain number of people. Some can ride on a (an?) electric bus, rest can drive. There’ll be probably two or four electric busses and maybe twenty-five to fifty cars. In each segment, lot more will join but this complete trip will be approximately twenty-five cars and two busses probably. It’ll be finalized later but there will be major events in all the cities to raise the awareness about the rivers in India. So we want to inva... involve the entire population in the cities, there’ll be rivers qua... you know river related quizzes for the children, people will run for the rivers, people will cycle for the rivers, people will do all kinds of things for (Audio Cut) rivers on that day when the event comes to that city. And above all to make a policy document and when we come back to Delhi, we’re having a conference where we present this along with the Chief Ministers of many states we’re going to sign a river accord as to what the policy should be about rivers. Even now, different states are fighting with each other for river waters, not realizing that in another fifteen-twenty years, there may be nothing to fight about (Laughter). Yes, it’s a serious situation. So this is going to happen. If some of you wish to participate in this, it’s going to be an incredible experience of driving across the length and breadth of India, which is by any standards the most colorful nation on the planet – chaotic, but colorful (Applause). Questioner: How long _____ (Unclear)? Sadhguru: It should take about twenty-five days. Anywhere between twenty to twenty-five days, I think. Questioner: _____ (Unclear) about the school (Laughter). Especially in _____ (Unclear). Sadhguru: She’s gonna do it anyway, so (Laughter)… I’m not against it but I’m not for it either. (Laughs) I’m definitely not against it but I know what it takes to run a good school. It’s not about buildings, getting the right people with (Audio Cut) long-term commitment to well-being of children who may not be theirs but when you have children who are not yours, you have to do much more than what you would do with yours. I need people like that who are willing to do a lot more with somebody else’s children than they would do with their own. If there are such people, a school will come together anyway (Applause). If you live by this silly standard of what is yours and what is not yours, anyway you will live in a very small space on this planet and in this cosmos. If you have no sense of what is yours and what is not yours, everything will be open to you. That’s my blessing to you – let the entire cosmos be yours. Why are you stingy? Why are you even stingy in your greediness? At least in your greed be boundless. Hmm? I’m not saying generosity, I’m saying greed. At least in your greed, let there be no limit, that you want everything to be yours - that’s greed, ultimate. That’s my blessing - may you become greedy in a limitless way (Laughter). Why are you stingy even on your greed, eh?